I have to admit that I am not a Valentine’s Day fan! No, I never was, before for me you have to celebrate love every single day and not just a specific one. And then I start working and having obligations with kids and the program became so full that I di not have the chance to celebrate with my hubby every day and do something special. This period is what I consider as, a great opportunity to find a day for a romantic day with your hubby, without kids! So yes, this year we will celebrate on valentine’s Day! Of course, this was also a great chance for a few diy! 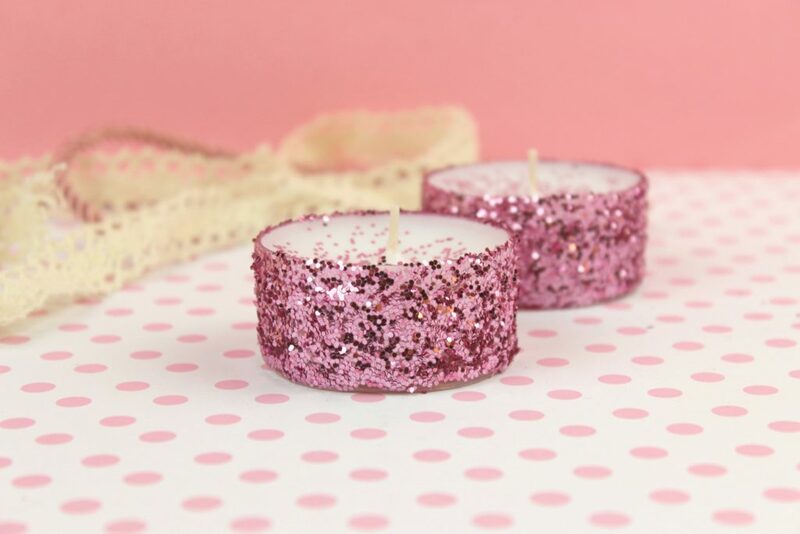 Oh yes…something cute, pink or at least with color, low budget and with sparkles! And then i found an amazing pink glitter and the idea just appeared in front of me! 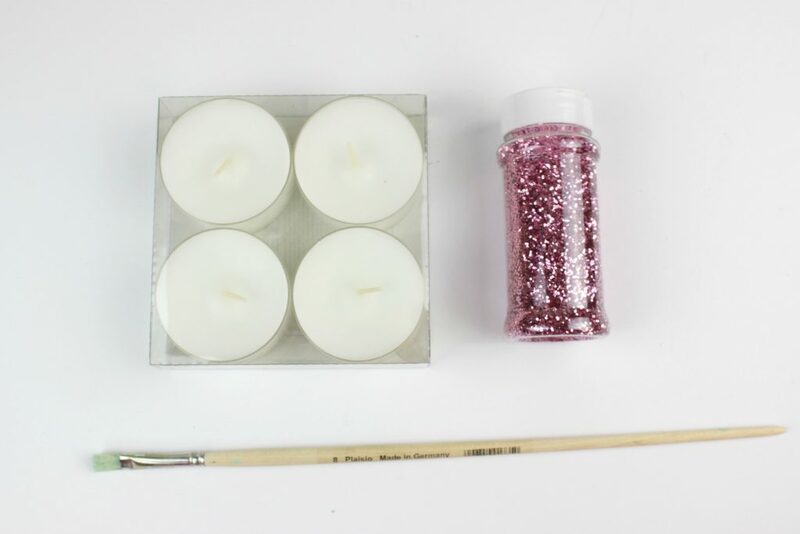 Diy Low Budget Glitter Tea Light Candles for Valentines Day! Two steps only for this craft and less than 5 minutes to finish it. It is actually the kind of crafts I really enjoy and like, since in 5 minutes you have something to change your day, your decoration and add more color! Also perfect for a gift ! 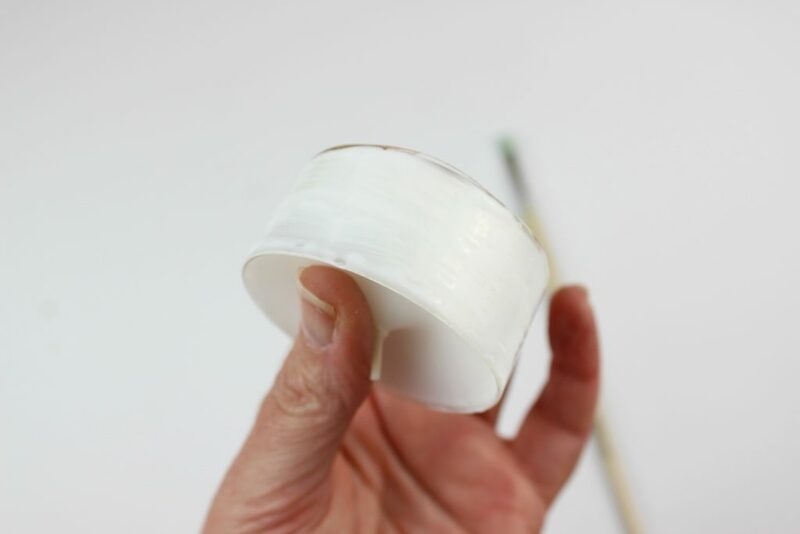 So, start by applying the white glue on the candle. My candles were on a plastic case, so the glue applied really easy. In a small bowl put all the glitter. 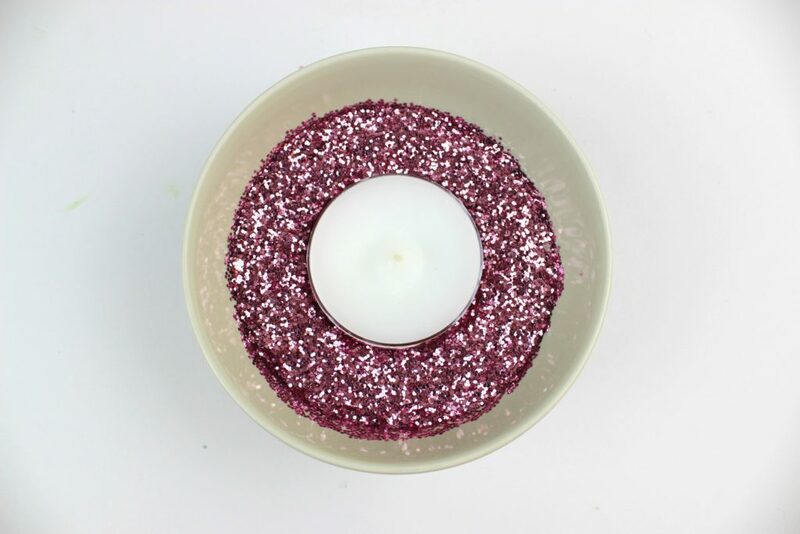 Sink the candle into the glitter for a few seconds. Remove it and let it aside on a cooking paper to dry. The candles are ready! And if you have more colors, then play with the schemas! I love them! really…so girl and cute! My princess liked them and she wanted to have more for her room…so she made a couple more by herself. 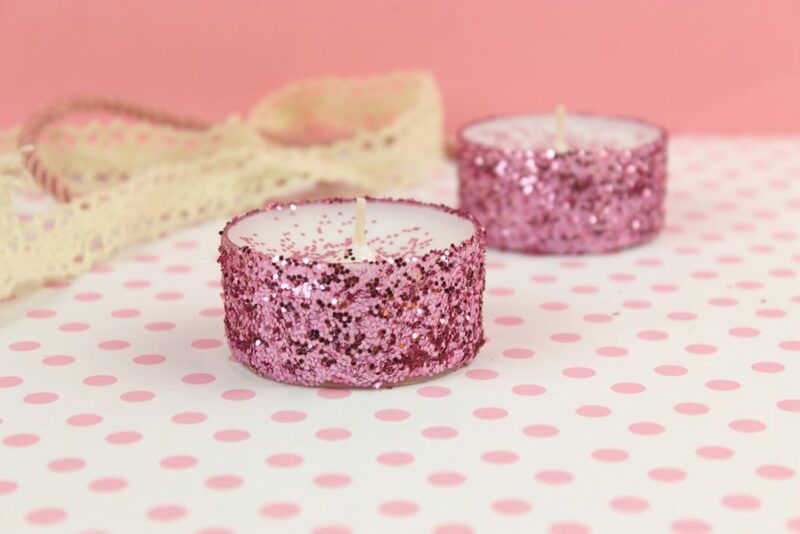 The craft is actually so easy to make, that it is even great as a kid activity. 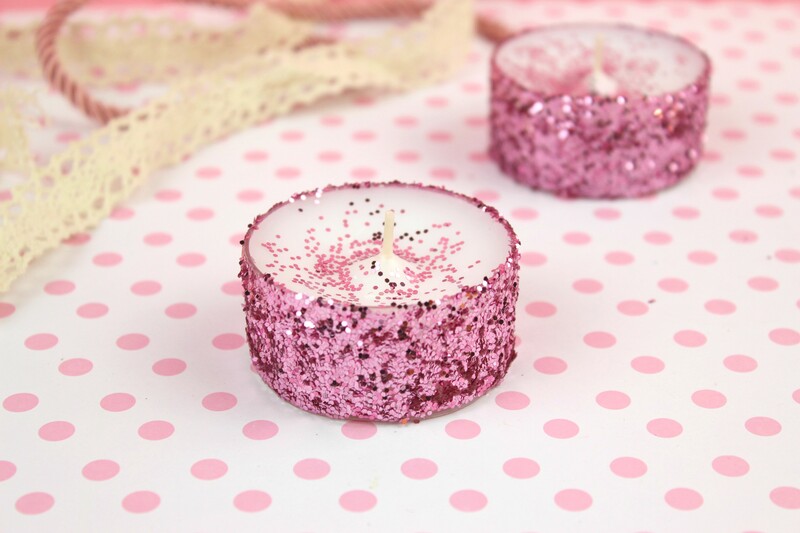 Of course if you can find glitter in other colors, then play with the colors on the candle or even with the schemas. 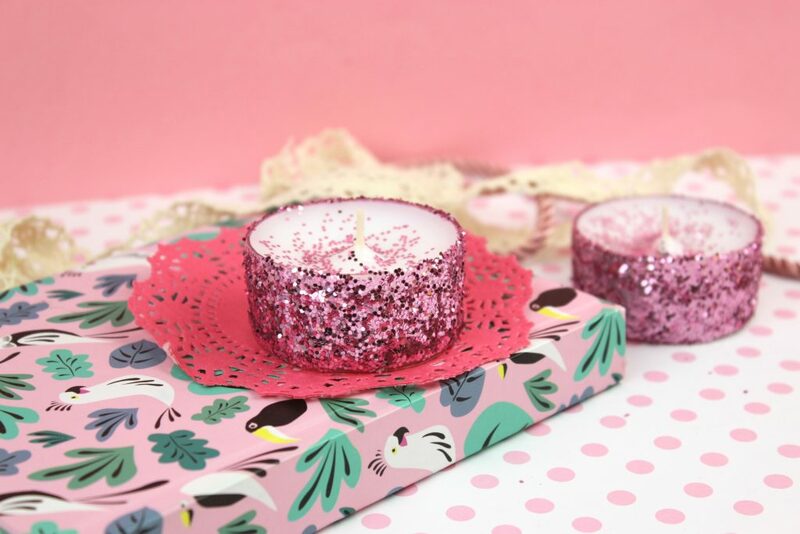 Just use washi tape to cover what you do not to paint or add glitter and make them even more cute. A really funny idea, low budget and easy for the kids too.